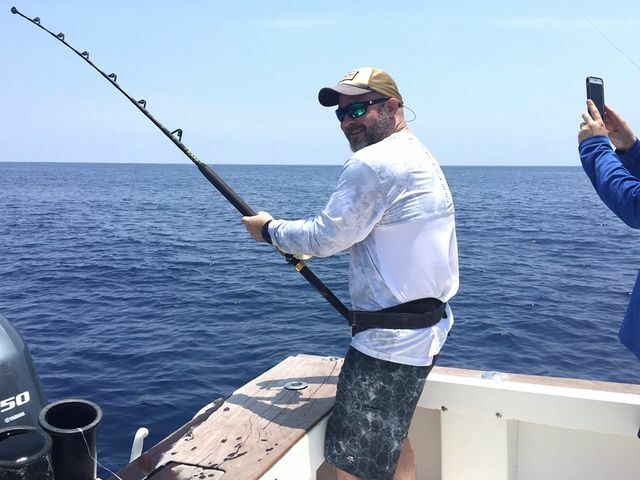 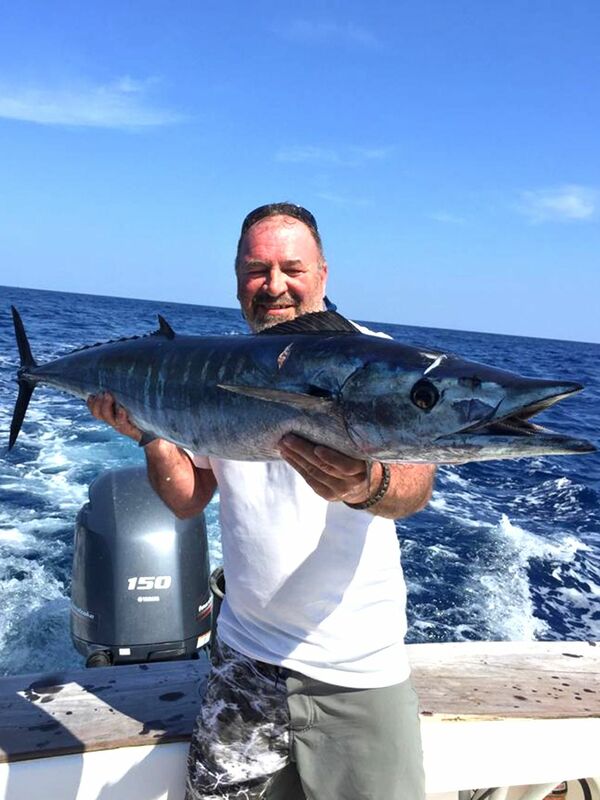 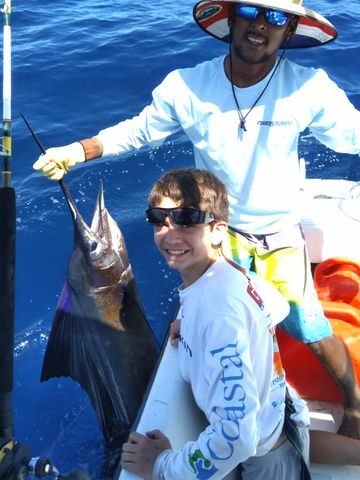 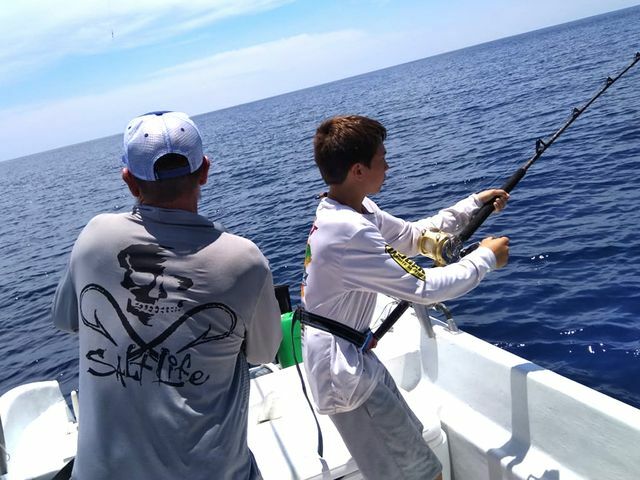 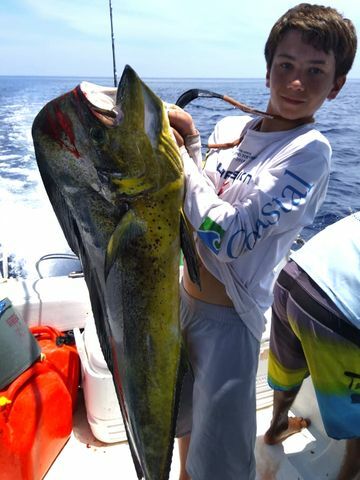 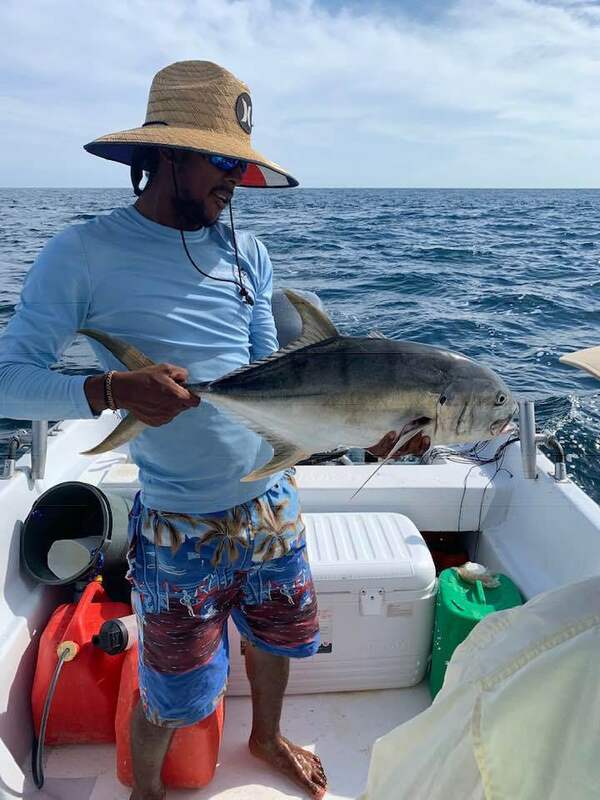 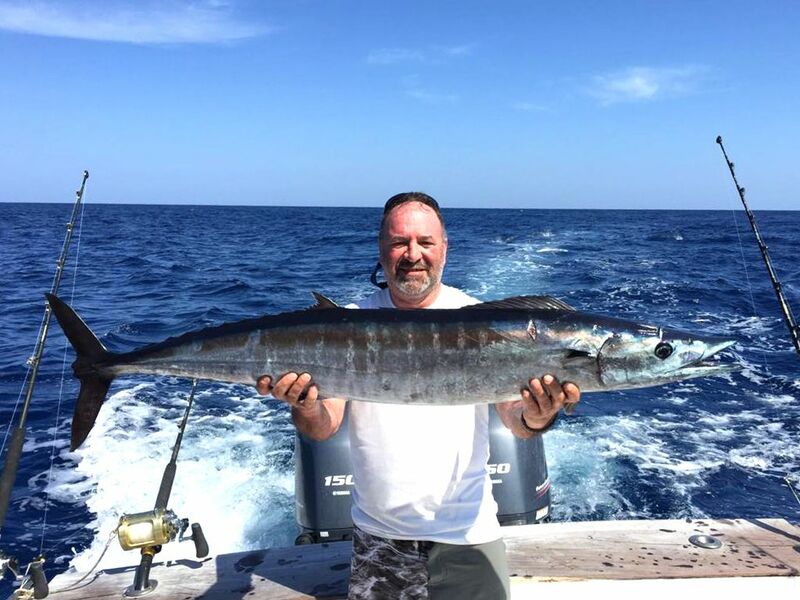 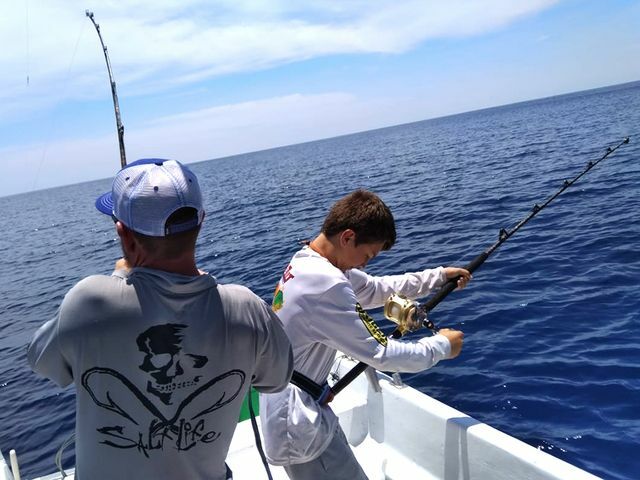 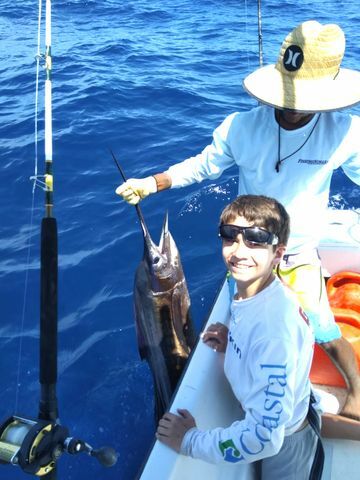 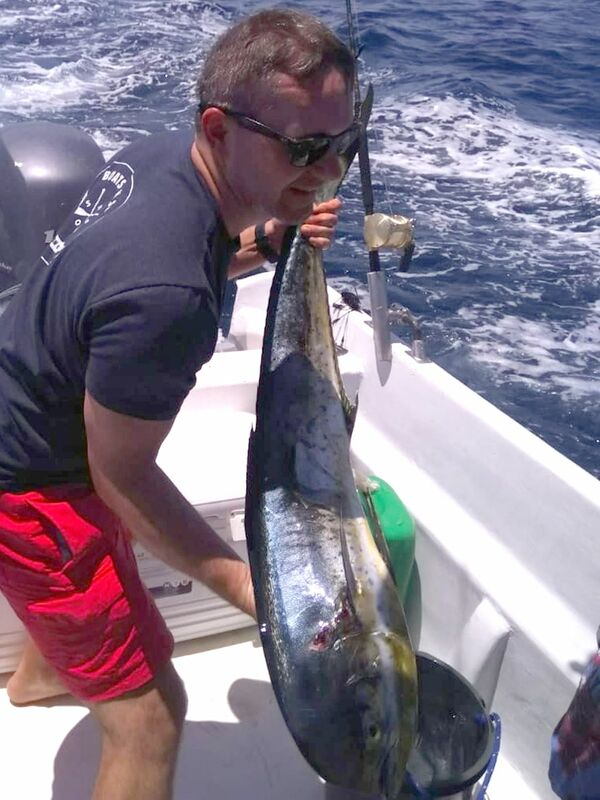 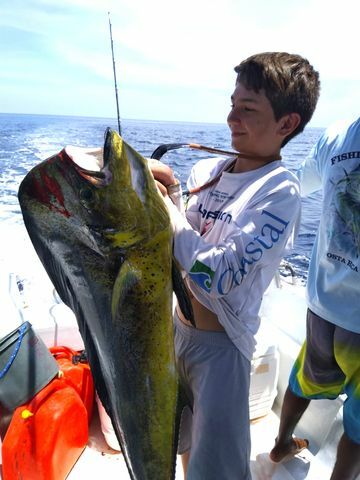 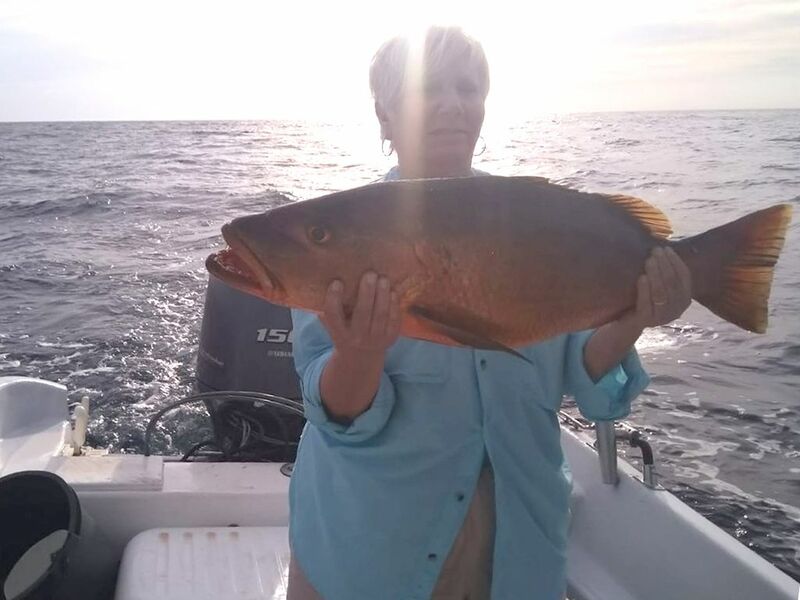 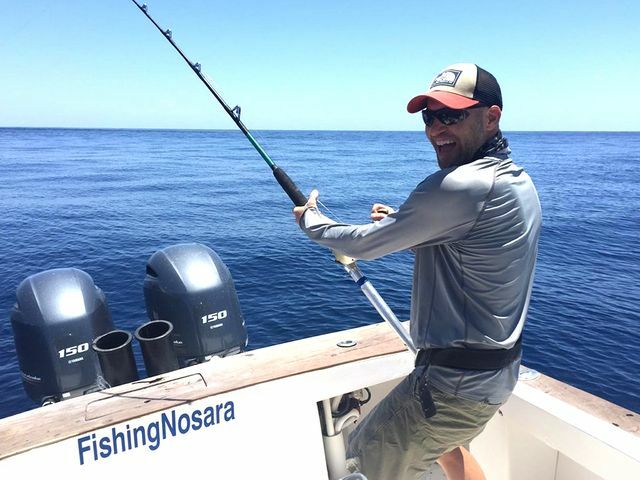 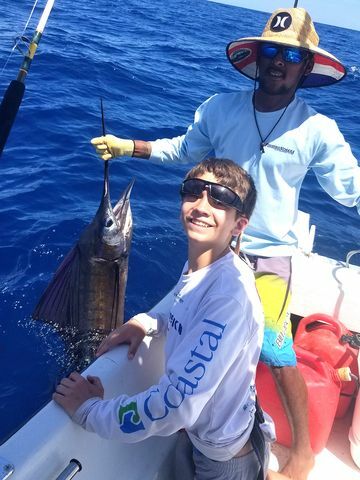 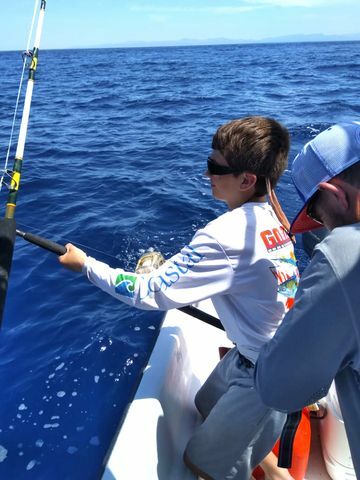 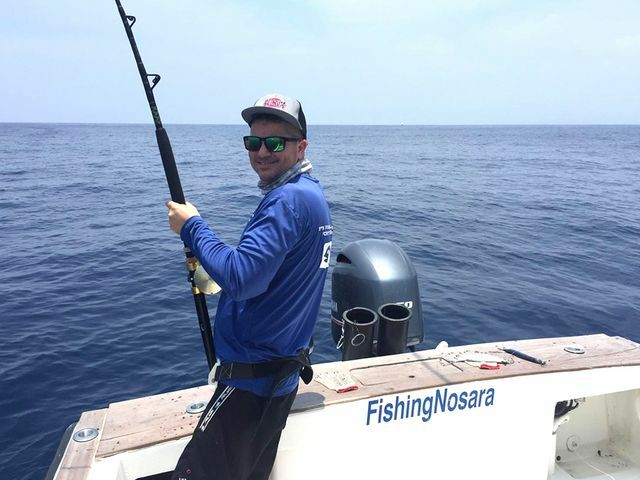 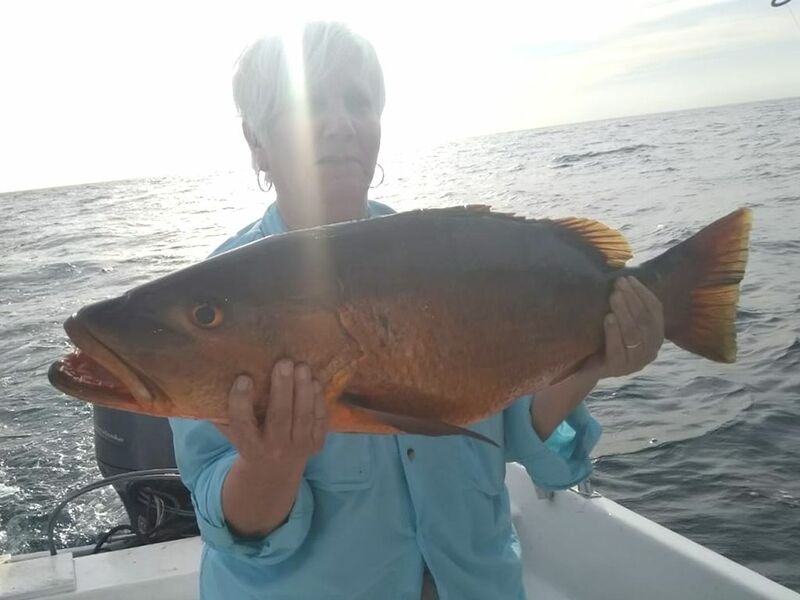 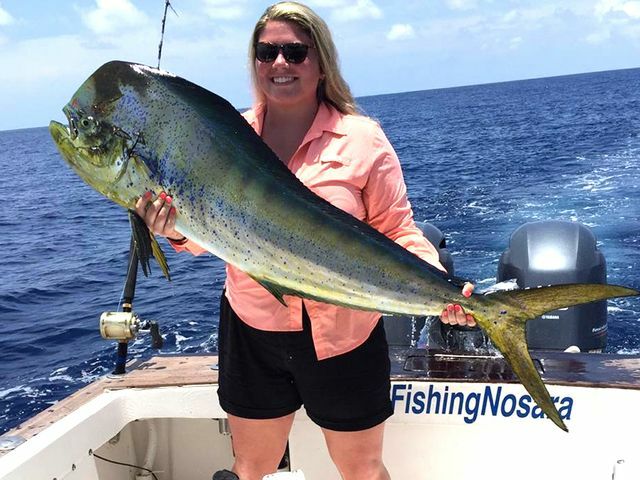 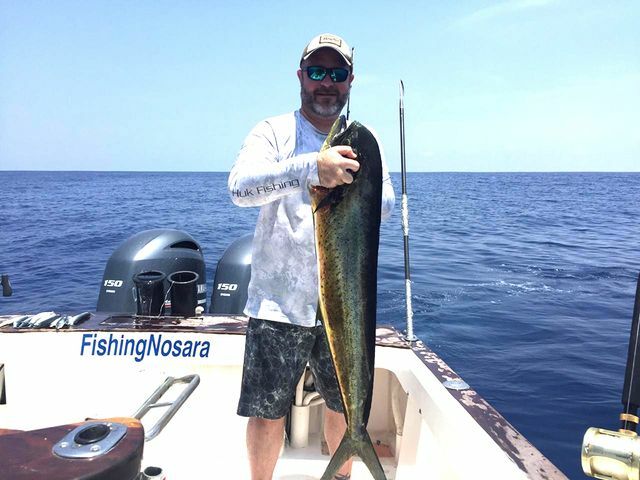 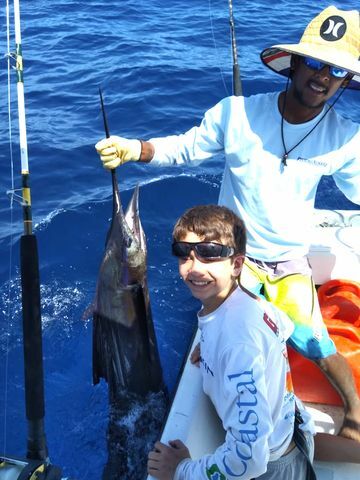 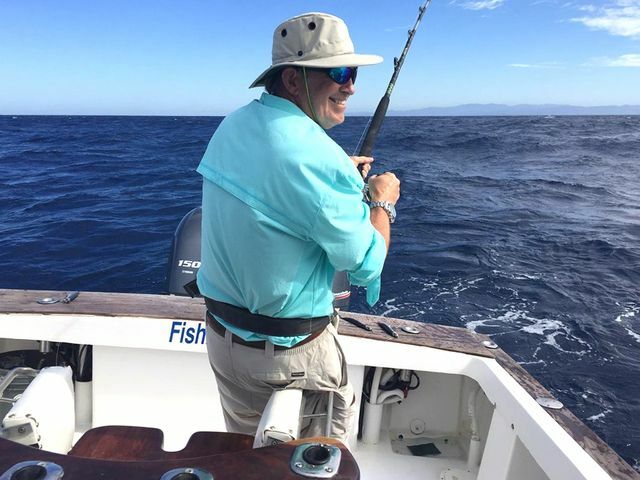 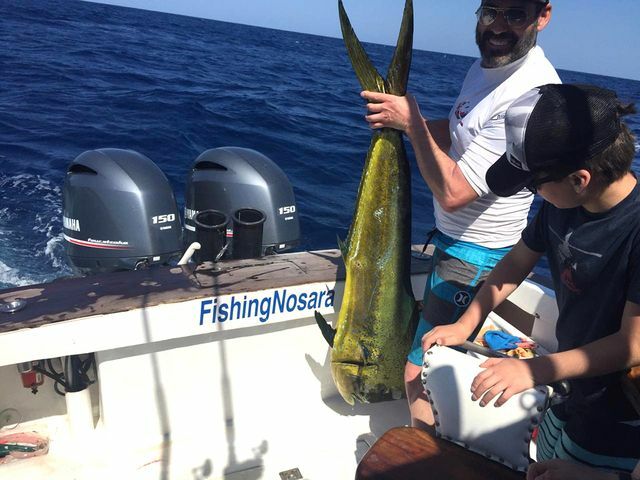 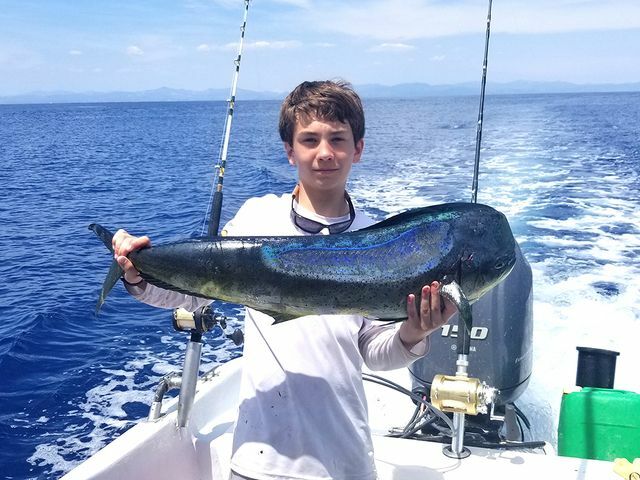 Tony Loff and his son enlisted the Explorer for a great day of offshore blue water action on March 30. 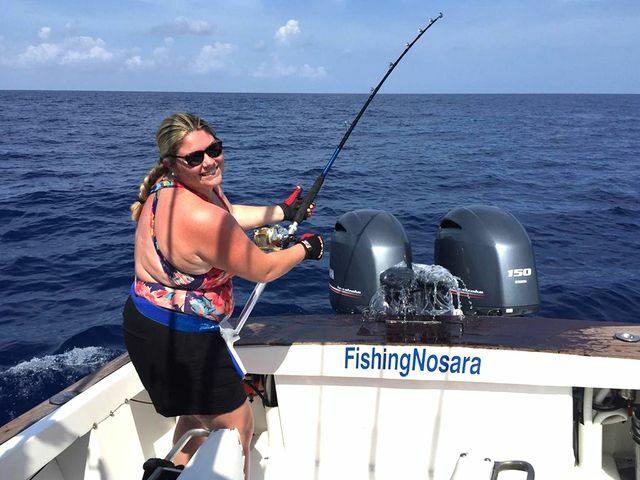 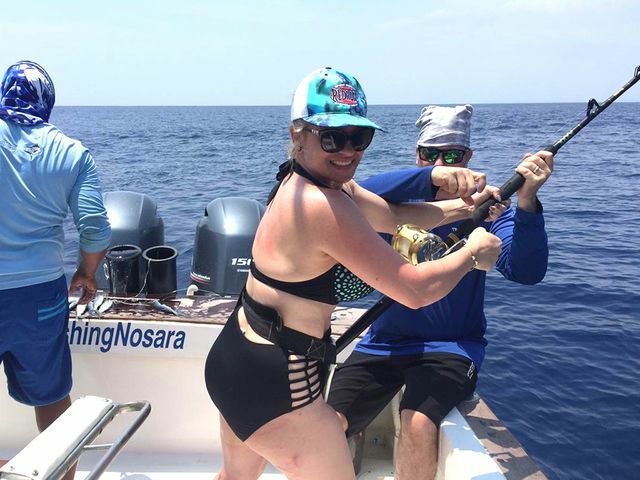 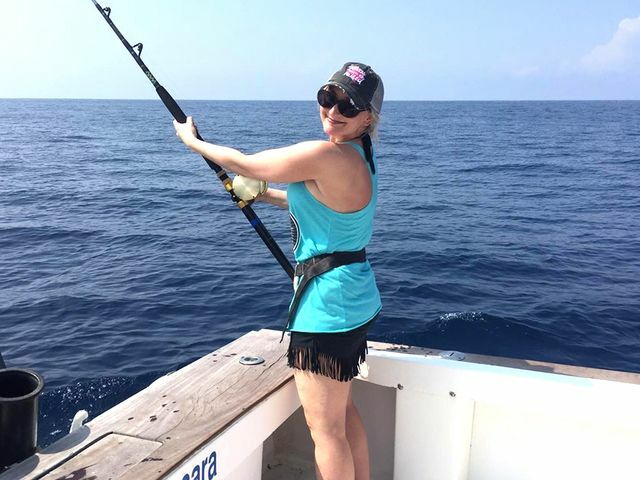 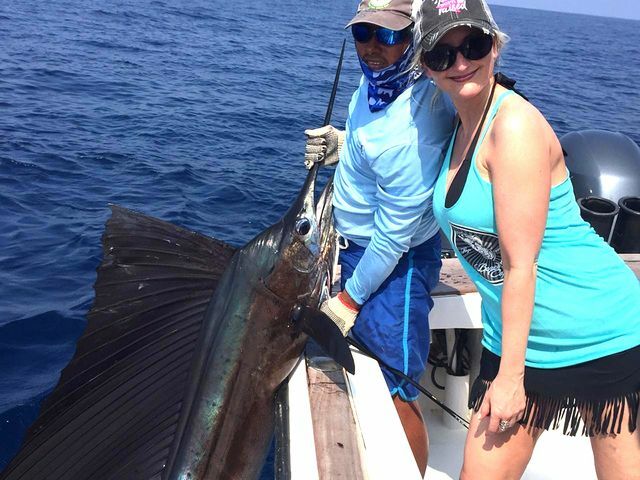 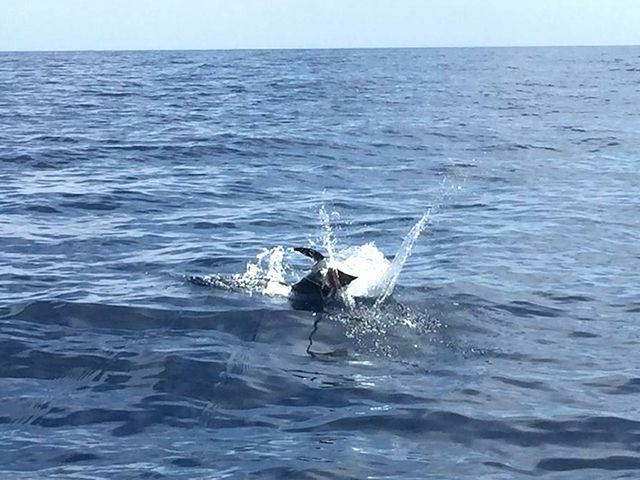 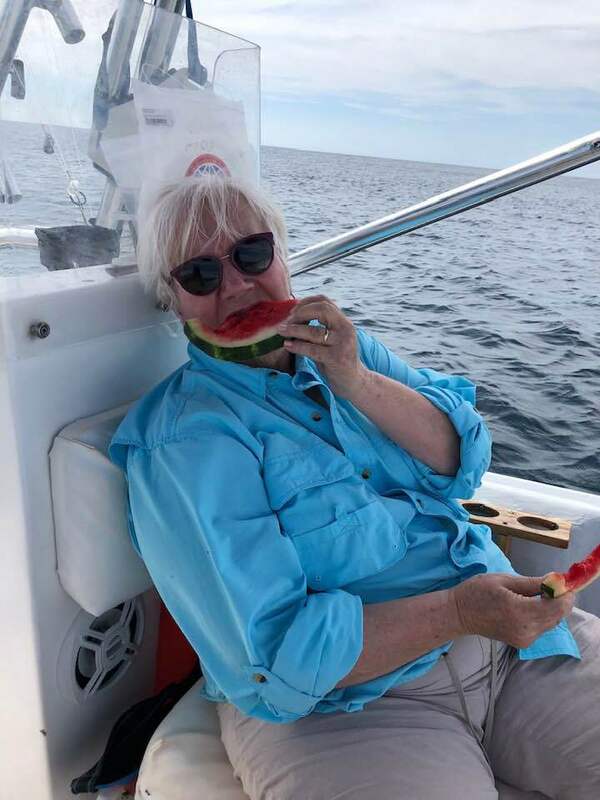 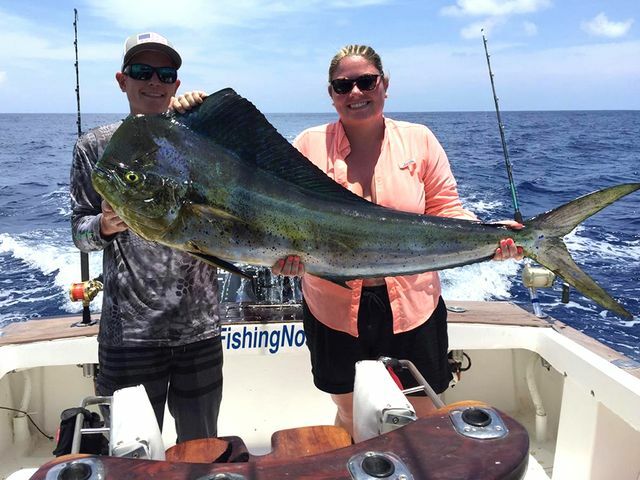 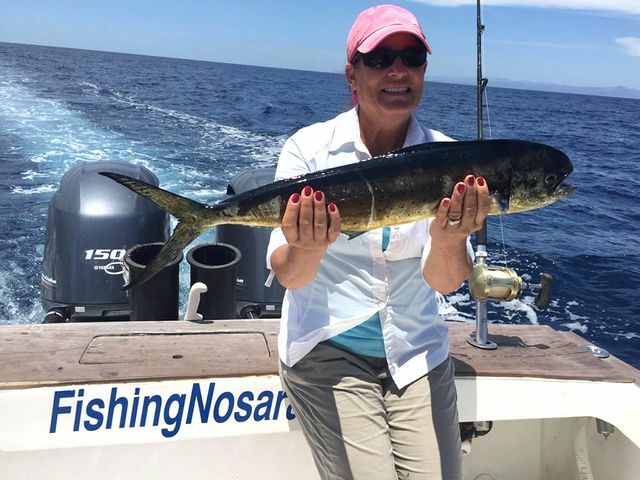 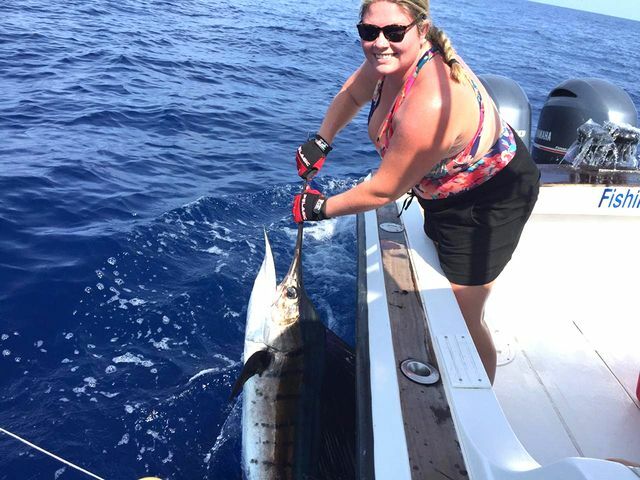 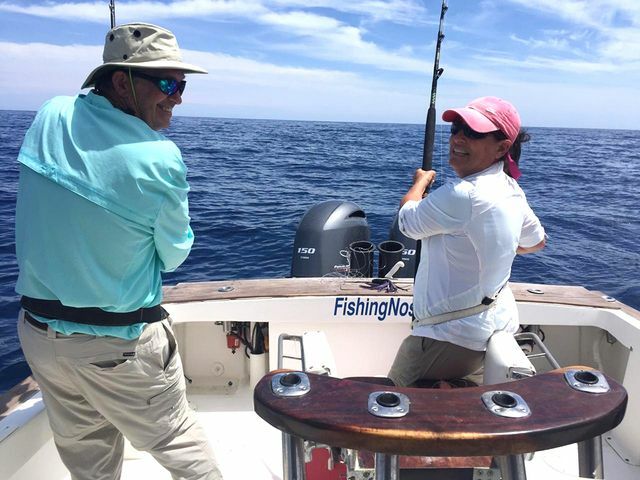 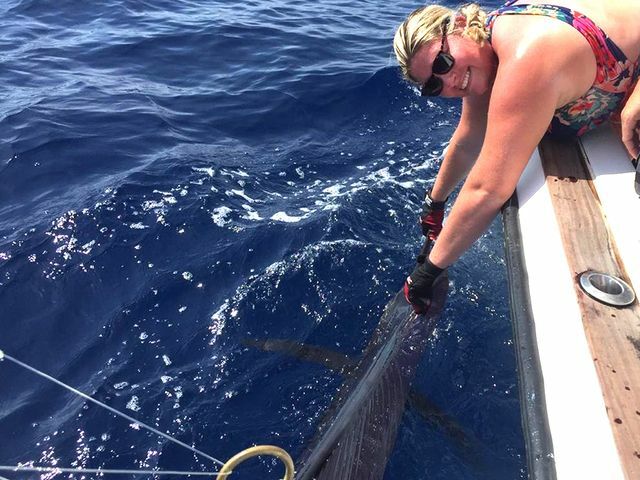 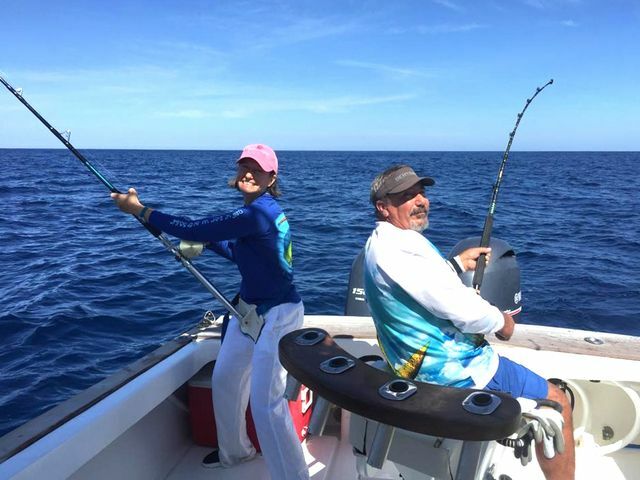 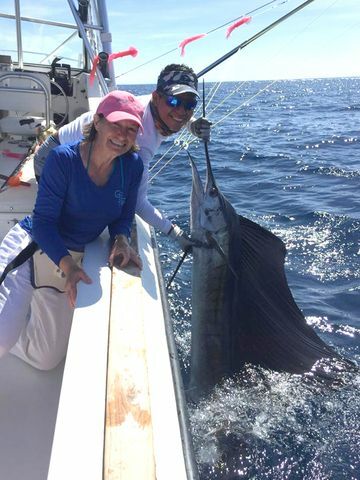 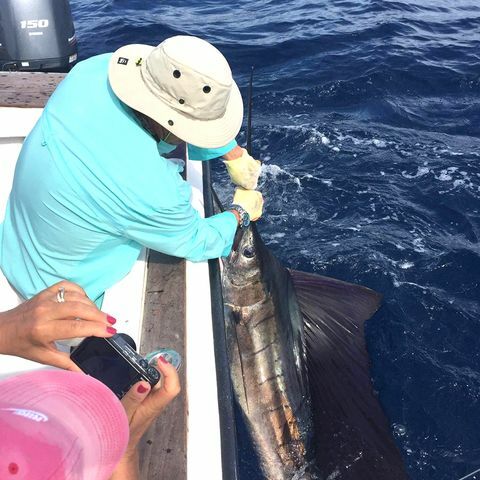 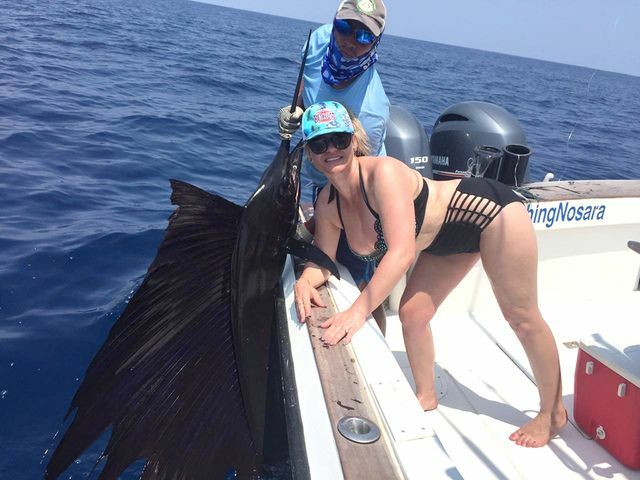 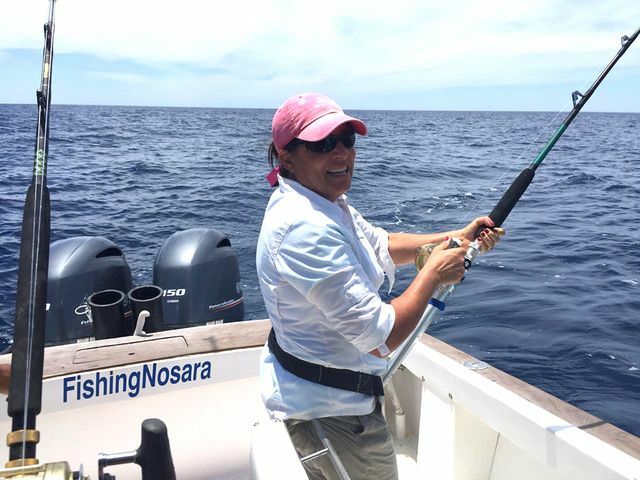 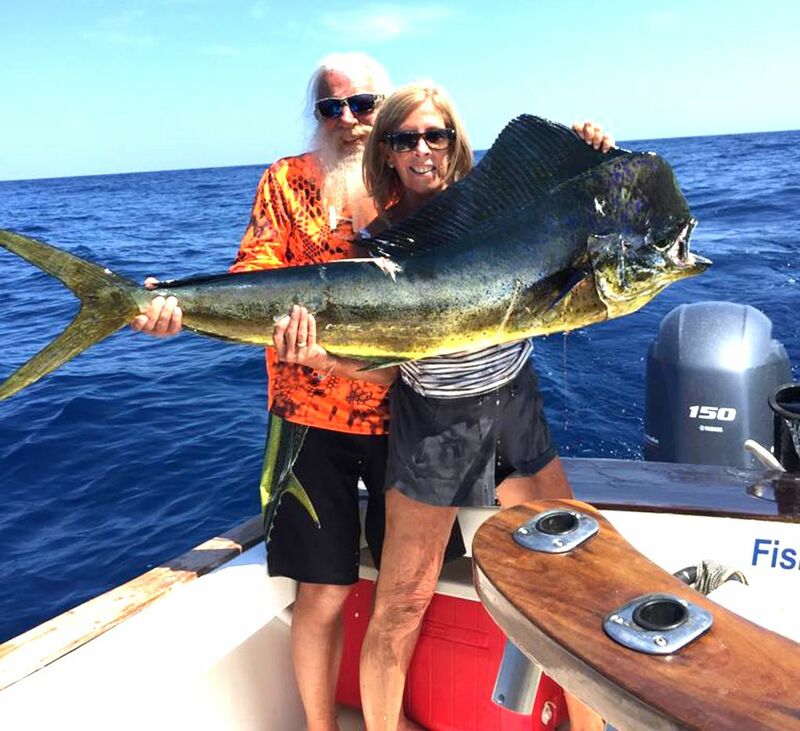 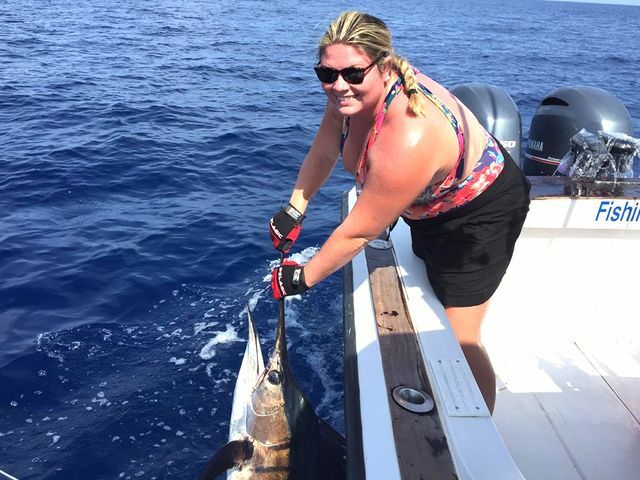 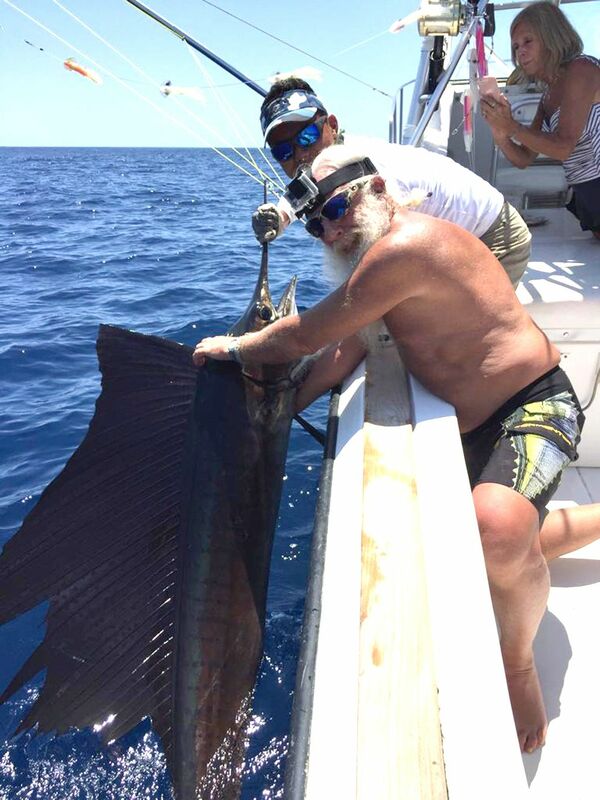 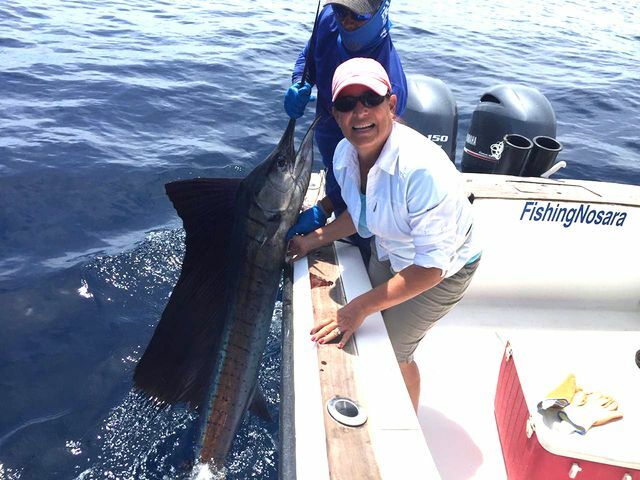 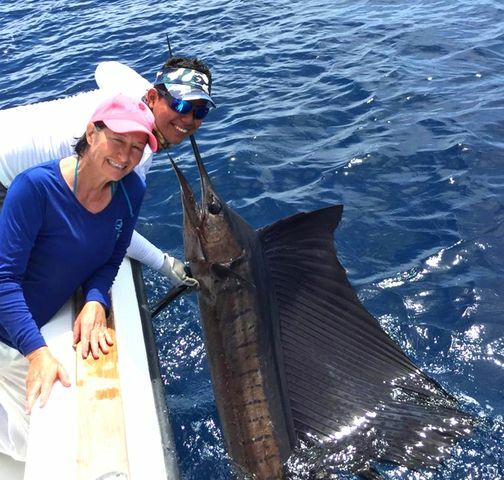 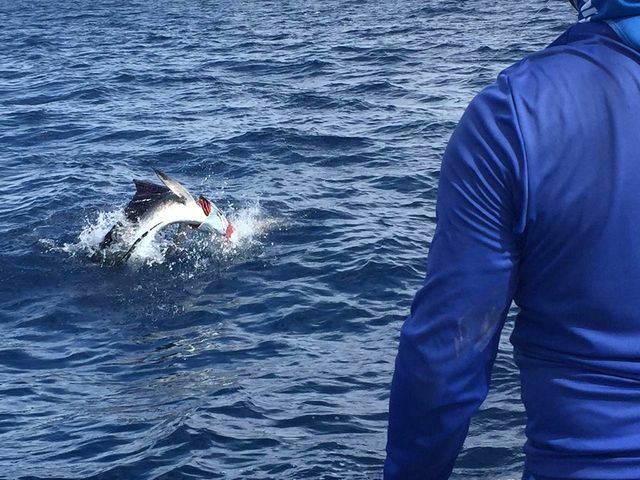 Kathy and Steve Cartier finished off their record-setting week of fishing with a sweet Double Sailfish release on March 28. 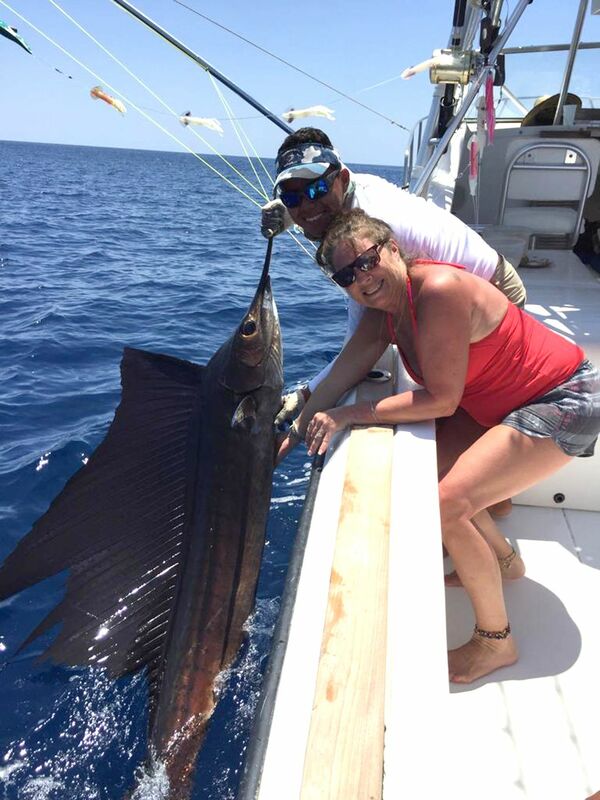 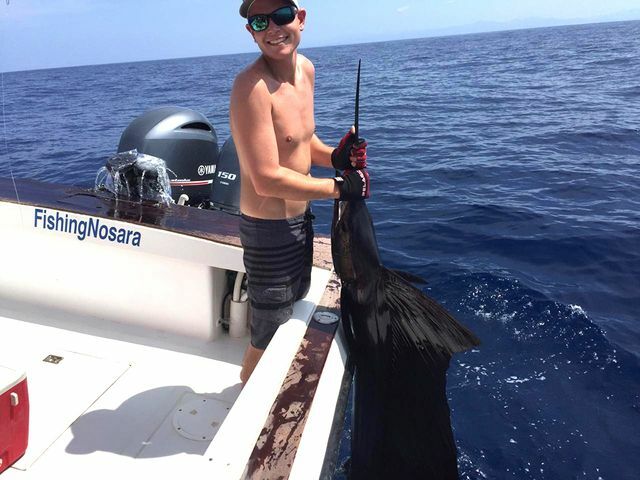 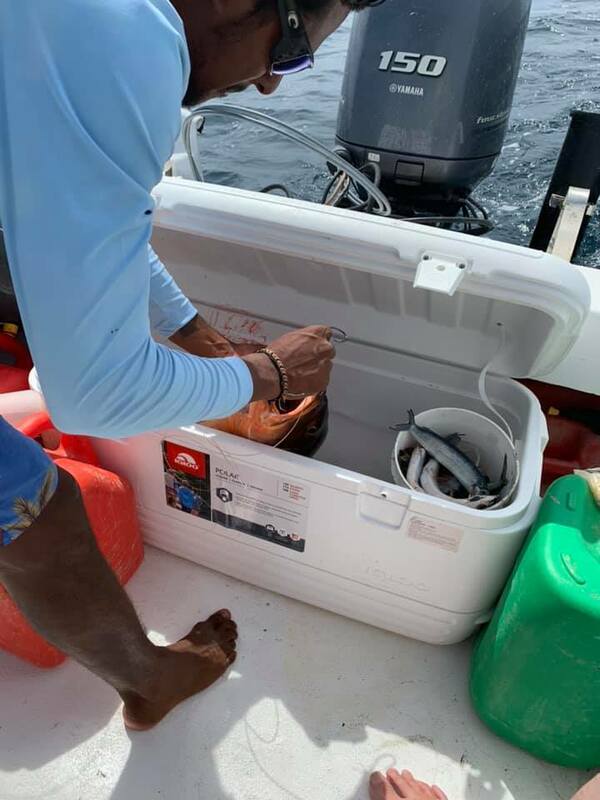 After the tricky Double release, the big battleship also delivered a couple more Sailfish catches. 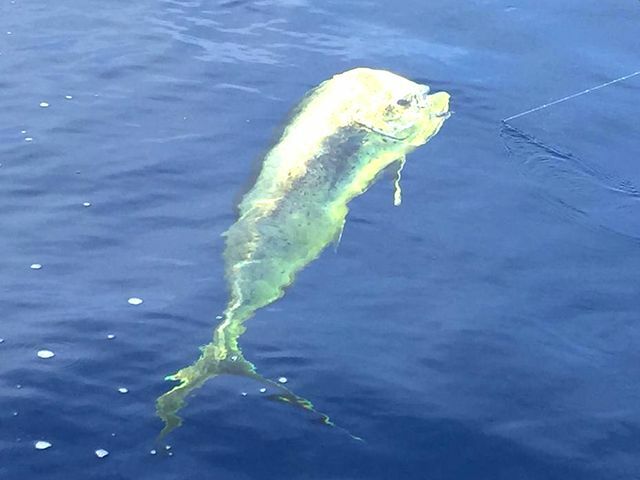 The send off for Team Cartier was this excellent Dorado; perfect for the end of week dinner! 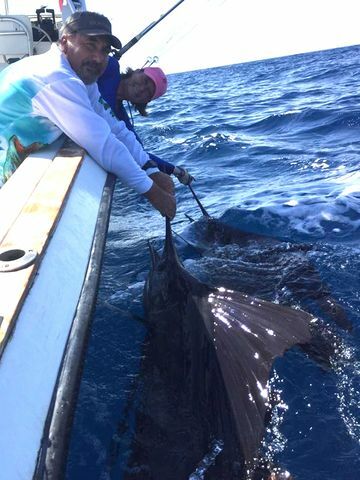 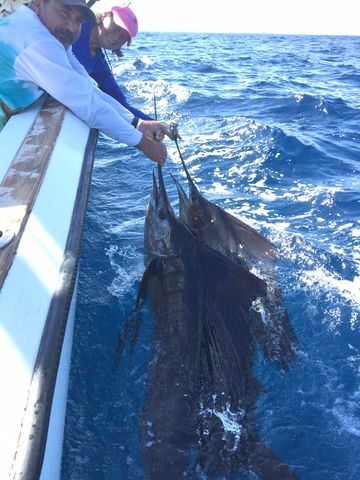 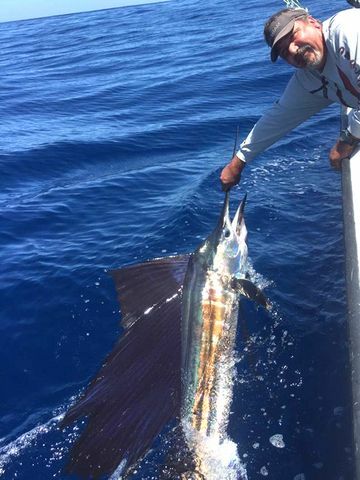 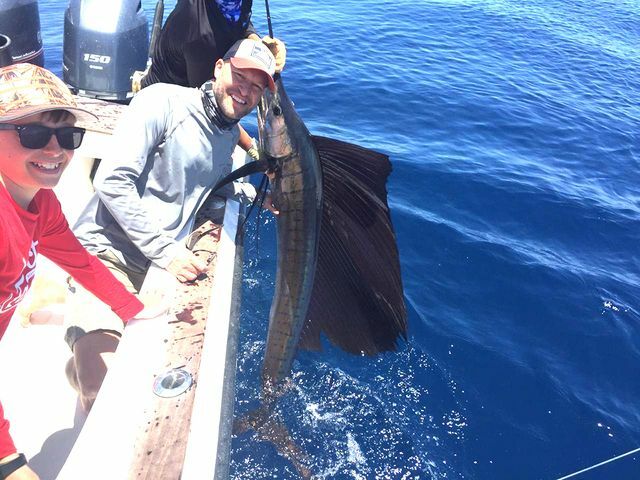 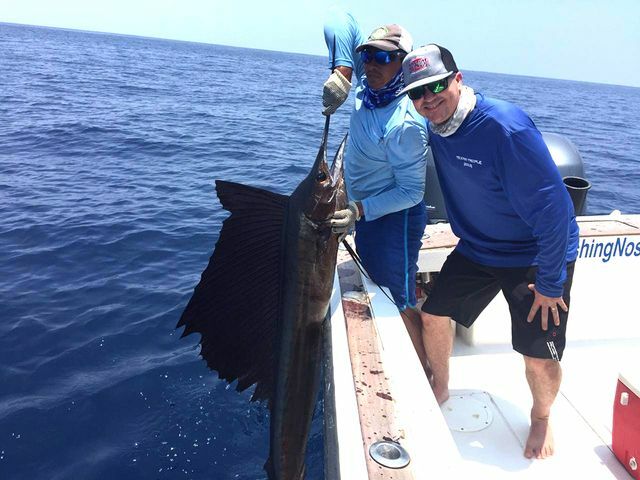 Rob Young joined the flagship Wanderer on the 26th and they started the day off right with this nice Sailfish release. 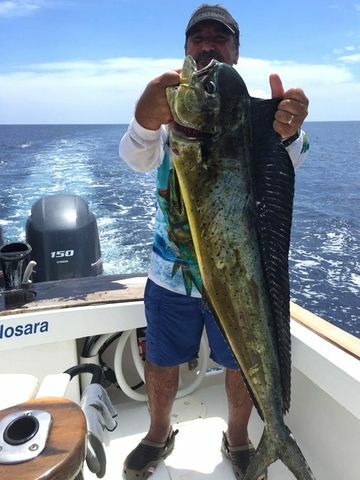 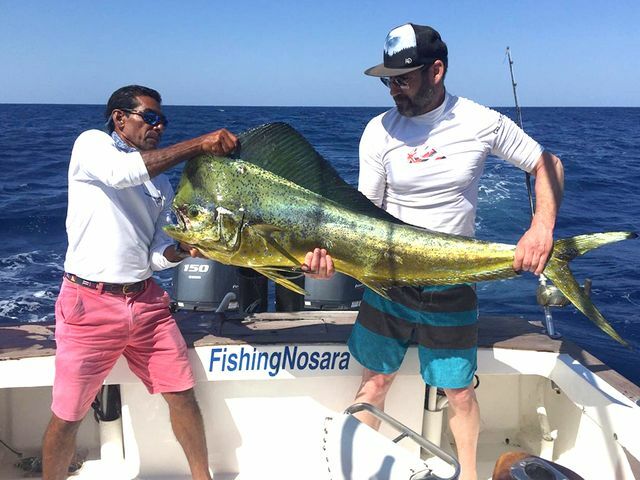 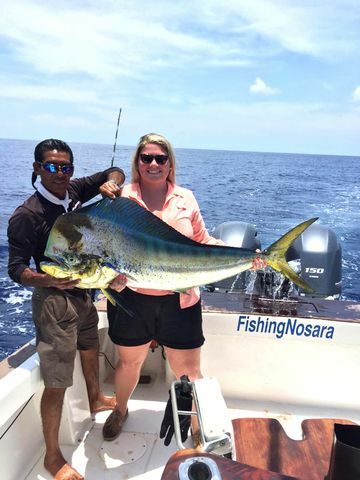 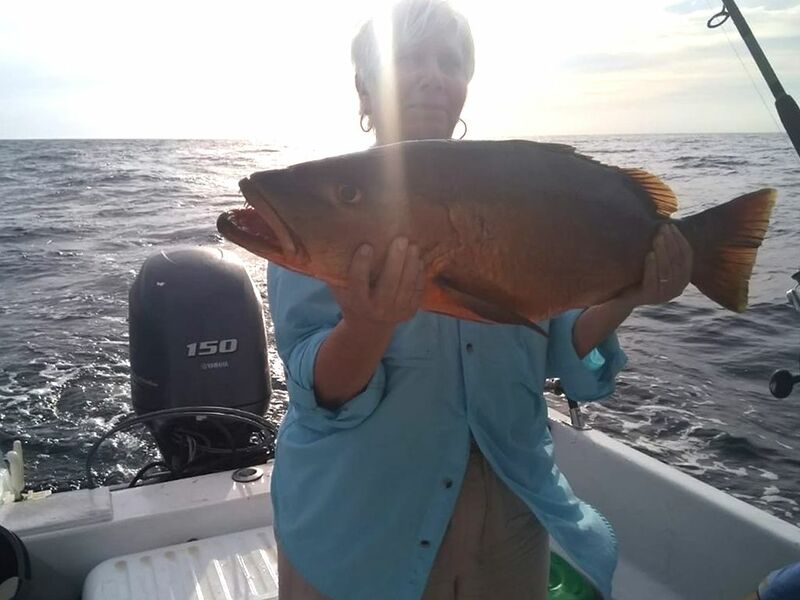 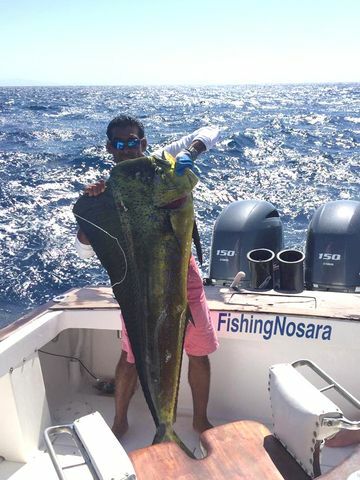 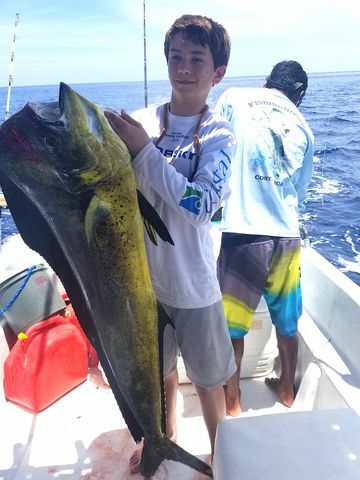 The real monster of the day was this MONSTER Dorado. 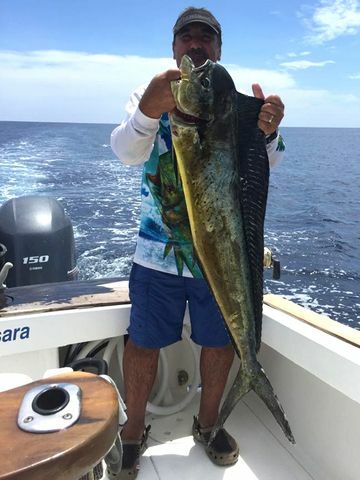 Then this group of hungry Texans needs meat, so this Monster Dorado and elusive Wahoo will fill the refrigerator. 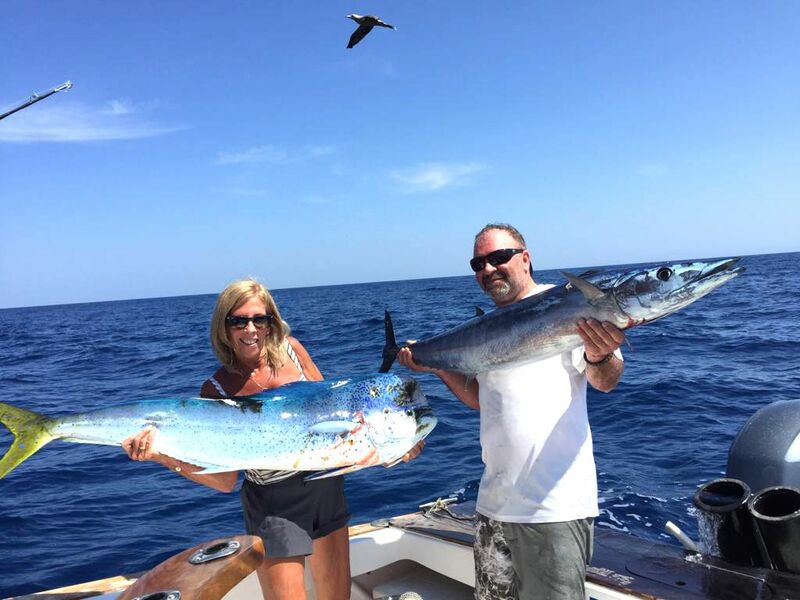 Check out this jealous bird scoping out their haul. 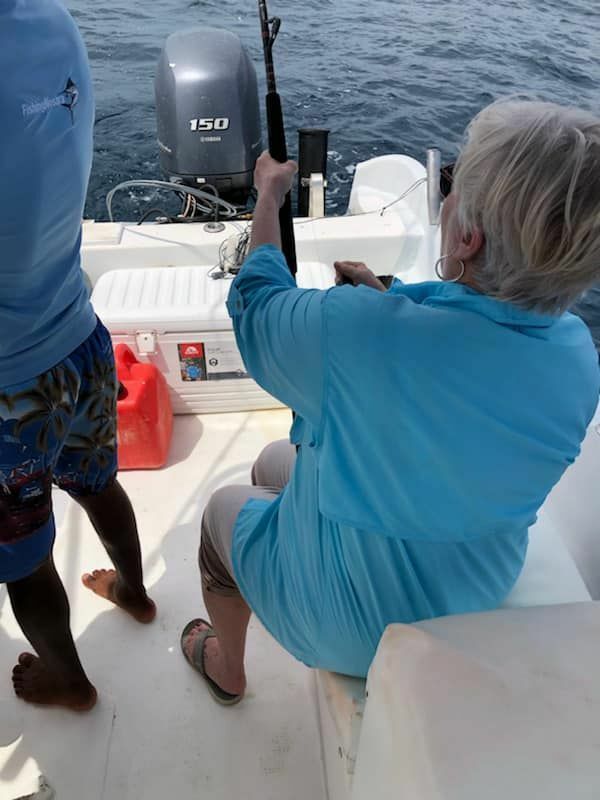 Shoo, bird!